A thin slice of sedimentary rock can hold a lot of history and a lot of mystery. 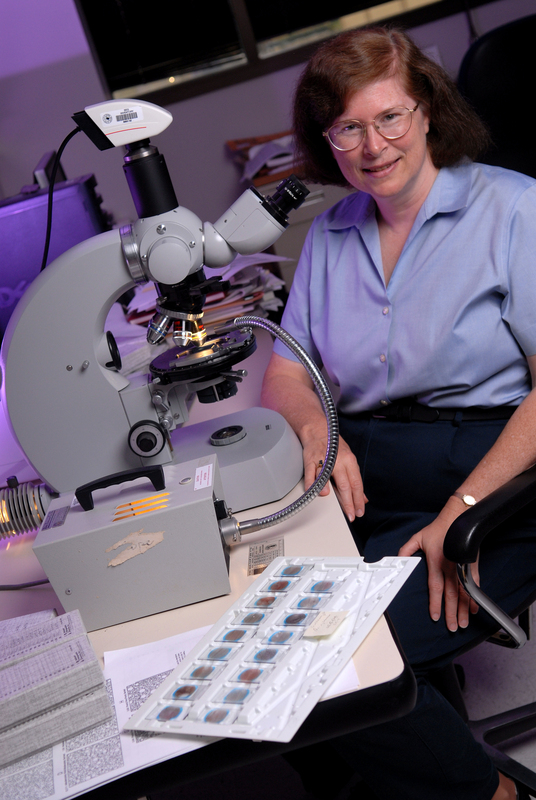 Shirley Dutton acts as the detective, whose magnifying glass is a microscope and whose clues are petrography. Dutton’s career focused on classifying sandstones using her specialty, diagenesis, to unlock the secrets to oil and gas reservoirs. While working at the Bureau of Economic Geology under then director Bill Fisher, she received her doctorate at The University of Texas at Austin in 1986. Dutton’s career as a senior research scientist at the bureau was rich with research. Overall, she published over 100 authored and co-authored papers and abstracts. Dutton is retiring after working 41 years at the bureau. Joseph C. Walter Jr. Excellence Award and the 2010 Research Excellence Award. Dutton has also been asked twice to participate in the American Association of Petroleum Geologists (AAPG) Distinguished Lecture Tours. Dutton was only the fifth woman to ever participate in the AAPG series when she presented on her first tour from 1986-87. Dutton said she became interested in sedimentary processes during her junior year of college when she first studied and learned how to make a thin section. She added that her interest in rocks has deeper roots. Her mother took her to visit the Adirondack Mountains near her hometown of Schenectady, New York. One of her key research topics was tight gas sandstones, which are classified by their tight or low porosity due to cementation through diagenesis, or how sediment is turned to stone. This characteristic is important in determining reservoir quality. “Tight gas sandstones and I were just kind of made for each other,” Dutton said. A recent emphasis of Dutton’s has been on reservoir quality of deeply buried sandstones in the Gulf of Mexico. Kitty Milliken, a sedimentary geologist who also worked as a senior research scientist, said Dutton’s expertise came in handy. “I will miss having her in her office … and her expertise right next door to me. If I ever had a question or found something odd in a sandstone, I could always run to Shirley,” Milliken said with a laugh. Milliken and Dutton both attended small undergraduate universities and attended the intensive geology field camp of Indiana University together in Cardwell, Montana. Milliken said it was the geology field camp that made them close. Milliken said she refers to Dutton as her “academic sister” since in grad school they had the same Ph.D. supervisor — Lynton Land. It is ultimately the people she worked with that Dutton said made her career. At the end of Dutton’s career, she returns to the beginning of it. She will kick off retirement by visiting the Adirondack Mountains and possibly starting new volunteer opportunities. Milliken said Dutton’s contributions will continue to impact sandstone geology.